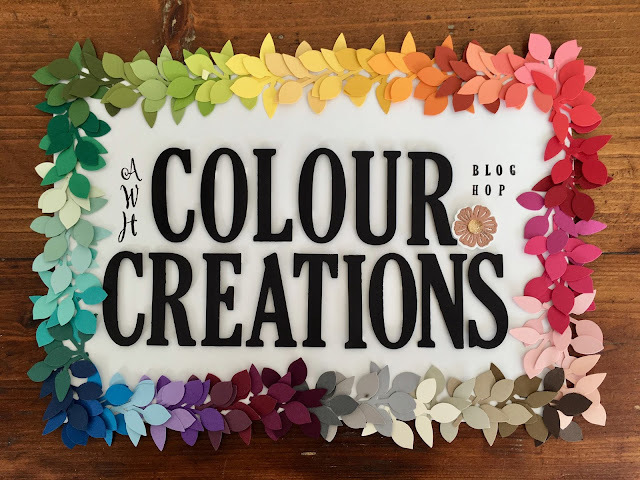 Wowee, the Art With Heart team are ripping though the colours in the Stampin' Up! range. We are up to Pumpkin Pie this week. When deciding what to make I reached for my Brights cardstock tub, but I didn't find Pumpkin Pie. Oops! I forgot that in the last Colour Refresh, Pumpkin Pie was moved to the Regals. I have a great nephew turning two in a couple of weeks, and so this was a great opportunity to make a fun card for him. I was originally thinking a lion, but they are yellow, not orange! Tiger it was, then! I did a google search for tigers made using the fox builder punch and found a few. The one I followed was just marked as 'Alana'. How cute is he? He was a little fiddly to make, but soooo worth the effort. I made his stripes by stamping just the ear part of one of the heads in the Foxy Friends stamp set. I repeated this for the 2, which I think looks super cute! I had the foresight to make a second tiger at the same time as the first. Usually I only make one and then wish for a second one for the inside but can't be bothered as they are so fiddly. I got smart this time! You may notice that his tail is on the other side - that was a bit of an oops moment that worked out nicely. Why not pop on over to Catherine's blog, where you can find the links for the rest of this week's Pumpkin Pie cards? They're gonna be great! Tina I am amazed by your creativity...at first I thought this was a set I'd overlooked but then I realised how you had created this tiger yourself. Thank you for hopping along tonight! Such a happy card Tina. I am sure your great nephew will simply love it. I love your tiger Tina, he is so cute and your great nephew will love it. The whole jungle theme of your card is perfect. Oh My gosh, how adorable! I love your tiger and it goes so well with that DSP, awesome! What a cute card Tina, I love it. I don't have the Fox Builder punch as no little one's in my life. Wow Tina, what a super duper card. I actually made a fox in Pumpkin Pie for my original card design but changed my mind last minute. Your little tiger is FANTASTIC! I love the inside of the card too! Fabulously cute and creative, Tina!